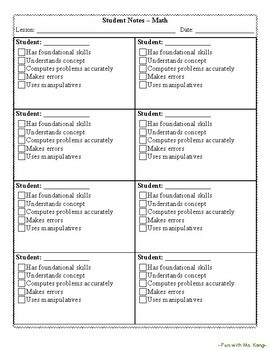 This tool provides a handy checklist for keeping track of student progress during small group work. 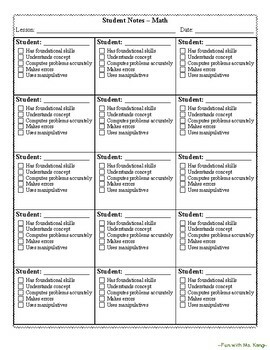 All you have to do is write the names of the students in your group, write the skill they are learning at the top of the page, and check away! 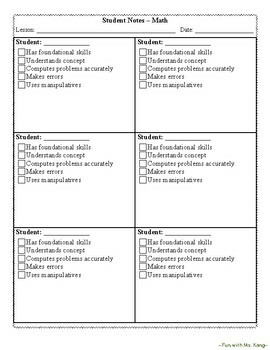 There is also space to take notes for each student. 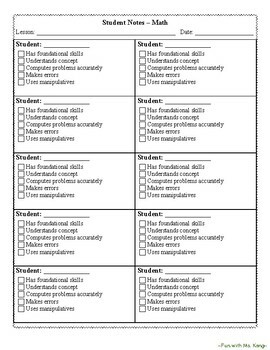 I've also used this tool for keeping track during parallel teaching. Available for groups of 15, 10, 8, and 6. Check out my store for Reading and Writing Small Group Notes too!